When it comes to problems with your roofing system, waiting to notice interior damage or problem is not such a wise idea because it will cause pricey structural and roofing repairs. As with almost anything in life, roof problems usually start small and insignificant and over time they become much bigger and harder to fix. Damage caused by water can raise moisture to dangerous levels inside of your property before you even notice interior signs of damage. And then it’s usually too late. The only thing that can protect you against premature complete roof system replacement and expensive repairs is frequent and periodic roof maintenance and inspections. Issues that we will talk about can also be caused by faulty mechanical or structural problems, but that doesn’t mean that you should not contact your roofing professional to perform a roofing inspection if you notice any of the following signs. If you notice that your cooling or heating bills are higher than before, there is a chance that your roofing system might be damaged. If your roof is properly insulated, it should act as a shield for your interior climate by keeping your property cool during warm summer months and warm throughout the winter. If your roof insulation gets damaged or saturated, it can’t perform the way it is designed to, and it loses its R-value. If there is a more heat transfer through the roofing system, your HVAC units begin to work longer and with more power to maintain the temperature of your property and that leads to higher energy expenses. If water is dripping inside of your property, that is a definite sign that your roofing system is in big problems. But keep in mind that roof leaks are usually far trickier. Water that enters through a roof can travel just about anywhere. Water coming underneath your wall can also be caused by a roof leak because water can travel along a rafter or a truss. If you notice any water damage inside of your property, don’t hesitate to contact your roofing professional just to be safe. Dropped ceilings are a standard type of ceiling when it comes to commercial buildings because they allow easy access to mechanical elements and ducting installed under the roofing system. If water gets trapped between the roof and ceiling tiles, it often results in sagging and stained tiles. That doesn’t necessarily have to be a sign of a leaking roof; it can also indicate that the roof ventilation is poor. Poor ventilation can lead to moisture damage that can lead to premature roof replacement. Mold thrives in environments such as damp framing, wet drywall and metal exposed to moisture. Even a smallest leak in your roofing system can create perfect moisture levels for mold growth inside your building. If you notice moldy or musty smells, that usually means that the mold is present somewhere. If it is caused by a leaking roof, the problem won’t go away until it is fixed properly. If you notice any of these challenges and signs inside of your property, don’t ignore them. All of them will cause you even bigger and more expensive problems to repair. 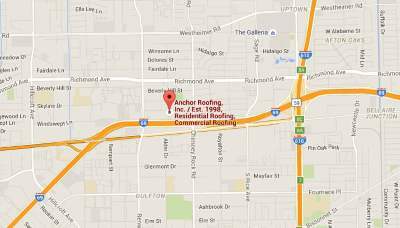 If you want to schedule a roof maintenance checkup, don’t hesitate to contact your trusted contractor for roof repair in Houston as soon as possible for the best service available.